As a dentist, you’re sure to know that many people out there have a serious phobia of going to have their teeth checked over, but there are ways in which you can help calm them and relieve any feelings of anxiety they may have. For example, you could consider offering your patients medicine like diazepam which can reduce anxiety. This is usually taken an hour or two before an appointment, but advise your patients that they can also take it the night before they come to see you. Gas and air – a mixture of oxygen and gas nitrous oxide – is another option you could offer your patients. This is breathed in through a mask placed over the nose of your patient and it should help reduce feelings of anxiety. 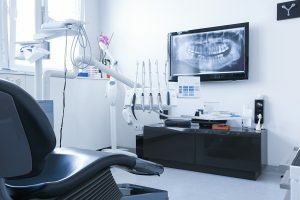 Those with severe dental phobia may benefit from being offered a general anaesthetic, however, but you should explore all other options before suggesting this to people coming to your surgery. Where children are concerned, a study was recently conducted that found that watching cartoons while undergoing dental treatment could reduce anxiety and distress. The researchers concluded that audiovisual distractions could be an excellent technique to keep children calm, ensuring that youngsters receive the dental treatment they require. According to the NHS, one in four people dread going to the dentist so it might be a good idea for you to look into the different ways you can address this fear and make sure that appointments are always stress-free in the future. For dental polishers and other dentist’s equipment, call us here at Acerdent today.